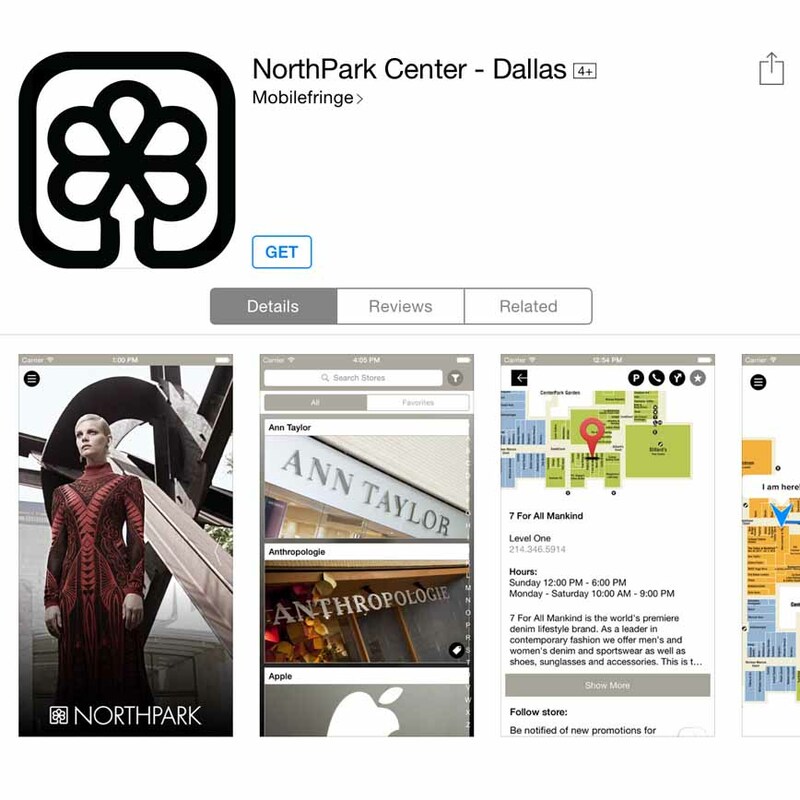 DALLAS, Dec 4, 2014/ — NorthPark Center has launched a mobile app designed to maximize the shopping experience for customers using the iPhone, other Apple mobile devices, and Android phones. 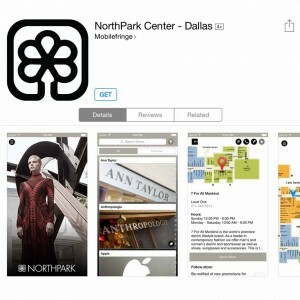 Available as a free, downloadable application from the Apple App Store and Google Play, NorthPark Center leverages the tools available on NorthParkCenter.com to enable customers to plan shopping trips and access complete information about retailers, dining, movies and entertainment. Visitors will also appreciate some new conveniences available within the app, including an interactive shopping center map, parking location reminder, self-guided art tour and quick and easy access to purchase AMC Theatre movie tickets. Quickly access NorthPark Center hours, directions, and contact information. 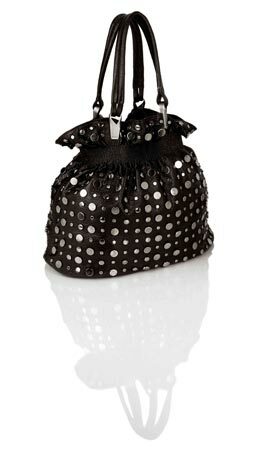 View the store directory with phone numbers and store information. Access the events tab for a complete listing of promotions and events for our 235 stores and restaurants, as well as for special NorthPark organized events. Locate favorite store, dining and entertainment options through the interactive map and easy-to-navigate, in-mall directions. Utilize the convenient parking lot reminder to easily locate your vehicle. Customize the shopping experience through push notifications about popular retailers. Take a self-guided tour of NorthPark Center’s world-class art collection utilizing an interactive map and educational resources. View show times for NorthPark AMC 15 and purchase movie tickets. Connect with NorthPark Center on Facebook, Instagram, Twitter and Pinterest. Additional features will be rolled out in the coming months.